Honey Love: "Need Your Help Honey Lovers"
"Please spread the word to all of our members, beekeepers, and friends of bees to support this effort ASAP. Any $ going to any group that works for bees will help all of us beekeepers. The more votes they get the better. HoneyLove does an awesome job on educating new beekeepers and many non-beekeepers just interested in doing something good for the environment. This is an important group to collaborate with in our efforts to get more favorable pesticide labeling and forage for bees." Small favor to ask of you. Please vote for us? 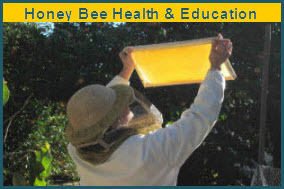 HoneyLove is up for a $50k grant, a sum which would help ensure we can keep our efforts going. The catch is we have to harass everyone we know (and everyone THEY know) into casting their vote. Right now we're the underdogs in a battle with a cat rescue org in NY, and could really use this community's help. Cats on the internet are a formidable opponent, but I'm confident the hive mind will win in the end. Rob and I do what we do out of passion and on a volunteer basis, but our programs do have real costs and we proudly employ three part time employees. 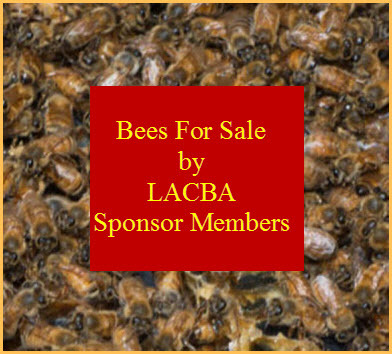 This grant would go a long way toward ensuring we can continue to do what we do serving the beekeeping community of Los Angeles and beyond. Please help us by sharing on facebook/twitter/email — we can't do this without your help! Thanks!! YAY BEES!! Believe it or not...GMO Bees!